One of my biggest passions is incorporating vintage into my everyday life. You won't see me or my home dressed in head to toe vintage, but mixing it in with modern pieces can give you a really unique style. 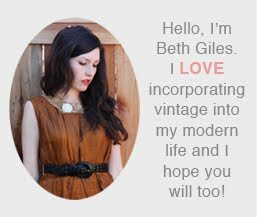 I thought it would be fun to have an ongoing series on the blog where I share my picks of relevant vintage pieces that would incorporate well into your modern life. Small furniture pieces and accessories are a great place to start when incorporating vintage into your home. You don't need a large piece of furniture to make a difference. 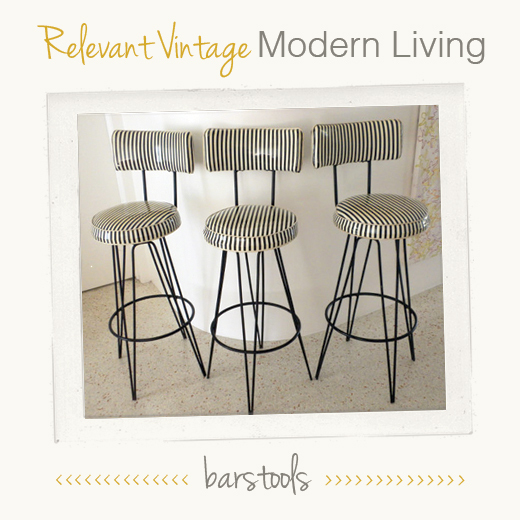 Adding vintage barstools, like this black and white striped set to your kitchen island or bar adds a layer of interest and since the upholstery is minimal, you can get away with a bright color or funky print. Love those B&W striped barstools! SO COOL!